I actually didn’t follow very many anime this last season. Several went on the long, long list of anime that I might eventually watch, but there were only two or three that I followed from one week to the next. One was That Time I Got Reincarnated as a Slime. 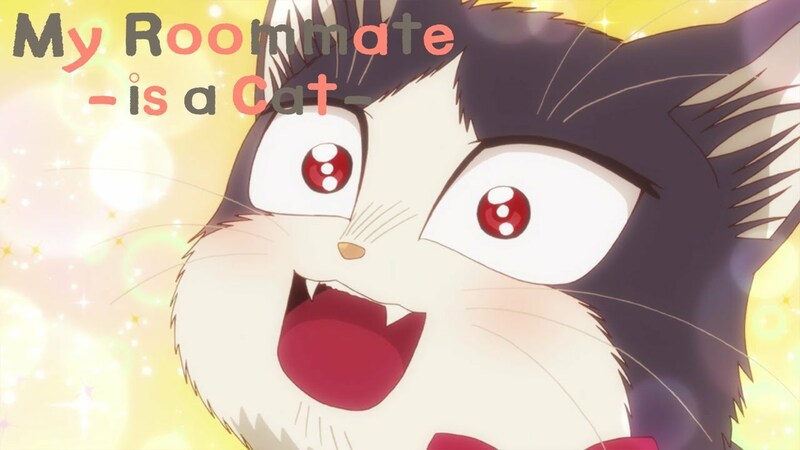 Another was My Roommate is a Cat, a slice of life comedic drama. Subaru is an author, a recluse, and a man who just recently lost his parents to a tragic accident. While dealing with both his heartache and the need to keep producing books to pay his bills, he comes across a stray cat at his parents’ grave. Finding a sudden flash of inspiration, he adopts the feline and names her Haru. Man and cat then proceed to undergo a slow transformation together, becoming more open and loving, both towards others and to each other. They gain friends and become family. It’s mostly a heart-warming, sometimes amusing, tale, told from two perspectives which are very different, and yet so very similar. Neither one, it turns out, is particularly good at dealing with others. Both have suffered loss. The connection that forms between them is a bit strange and unexpected, but it works. The story doesn’t rush things. I’ve heard it described as a very slow boil, but when it reaches that boiling point, it’s hard to find anything they could have left out while still having it all make sense within the narrative. The show begins with the first meeting of these two characters, and it ends on a note that shows how they and their relationship have both developed into something they never expected. That, of course, is decidedly in the show’s favor. And everything I might say against it is a matter purely of my own highly-subjective and analytical position. Keeping that in mind, there are a few ways it might have been improved and polished, as I see it. For instance, the episodes were mostly divided into sections, first providing Subaru’s perspective, and then Haru’s. It was nice, in a way, but it constantly felt like we were getting only half an episode’s worth of story in each episode, and I was always impatient for Haru’s side of things. It might have worked better if they’d interlaced the two perspective, side-by-side, instead of so sharply dividing them. Then again, that would have been very different, so maybe it just wasn’t what they wanted when they made the show. 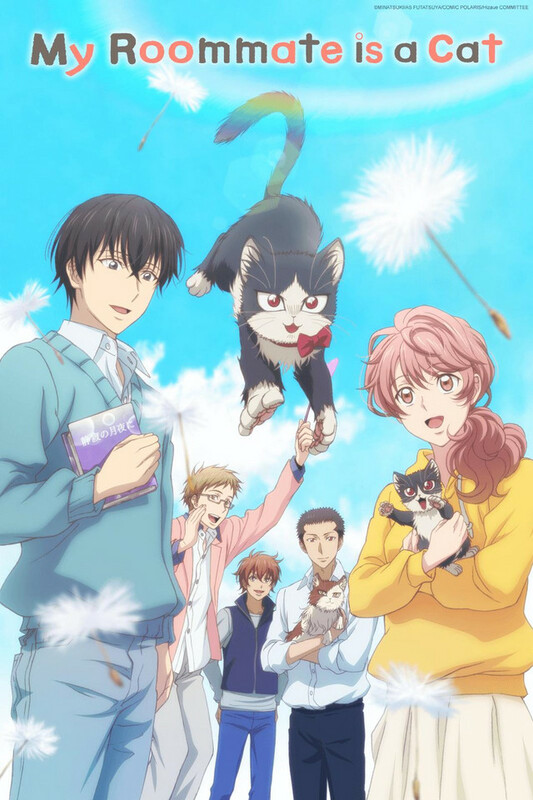 For another, while it was hilarious and cute when the two of them misunderstood members of another species, when Subaru had such a complete lack of understanding of his fellow humans, that felt more sad and pitiful than amusing. And considering this is me saying that, and I am no social butterfly, this should tell you something. And was it wrong of me to sort of wish that one of the kids who treated Haru practically like a stuffed animal got scratched for it? Probably. I can see how badly that would have gone, but, really, I have thing with animals not being treated like toys just because they happen to be soft and adorable, ya know? And I know from experience that they don’t usually tolerate it very well. I suppose those two points, about Subaru and how a cat behaves when held against its will, are really a thought about realism. This is a very down-to-Earth, realistic drama and comedy, but it does occasionally get a bit ridiculous in strange ways. That said, there is just something very, very endearing about this story of a man and a cat. That is why, as much as some little details might annoy me, I can forgive and just enjoy the show. It’s a very simple story, being funny, and happy, and easy to love. It’s also much more low-key and steady than other, more rambunctious dramas and comedies. Not a bad thing, that. This entry was posted in Anime and Cartoons, Tuesday Review and tagged My Roommate is a Cat. Bookmark the permalink. I loved this series. It reminded me so much of the many things that I love and appreciate about my cats, and I cannot express how much I related with the MC’s anti-social and socially awkward persona. I suppose that’s a fair point. Much the same can be said of me (mid-thirties). Honestly, the premise seemed kinda doubtful when I first heard of this series… But boy, was it worth it to watch. The two part finale was lovely.